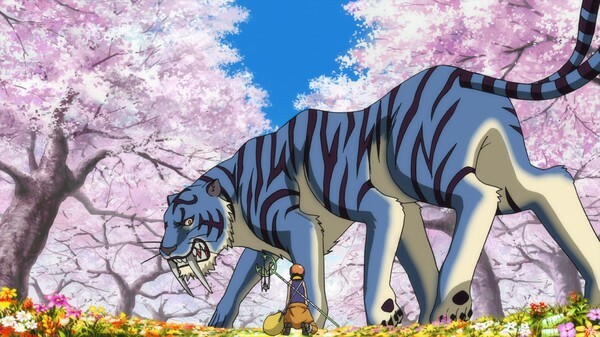 Let's be honest, feature films based on hit shonen series can sometimes be a little bit lackluster in both appearance and story. They can feel like a cheap cash-grab doing little to further the storyline or flesh out characters. Strong World, the 10th film in the One Piece franchise changes that. Created to celebrate the 10th anniversary of the blockbuster anime series, One Piece: Strong World benefits from having its original creator, Eiichiro Oda, on board to maintain the look and feel that we've become accustomed to. Not only does having the manga creator on writing duties give the story a little more credibility straight off the bat, but it also assists in delivering a story which builds upon what has come before it and essentially becomes canon. During its meaty 2 hour run time not only do we see Luffy and the Straw Hat Pirates battling all sorts of crazy creatures, but we also see their interactions which, after 10 years, are suitably strong. Of course Chopper is still idealistic, Luffy bullheaded and Sanji lovesick but Nami who is usually so strong and independent shows a softer, vulnerable and more caring side. The animation that Toei Animation provides for this film in particular is a real step up in quality from the norm. Instead of looking like an extended episode, this looks and feels like a self-contained, full budget adventure. Small elements of the animation, such as the colour fade in Nami's hair, the CGI of Shiki's ship, individual blades of grass and fully realised backgrounds all contribute to the overall aesthetic quality of the film. Add to this some wonderfully kinetic, manga inspired battle sequences and you've got the makings of a spectacular action adventure. Madman's Blu Ray release is gorgeous. The animation, being as top quality as it is, really pops off the screen with vivid colours, intense clarity and not a single artifact to be seen. Unfortunately the special features are a little bit scant but that's easily forgiven when the overall package is so good. If you're not a fan of One Piece there's probably no real reason to grab this release. You may find yourself a little lost if you try to dive in 10 years after the fact. 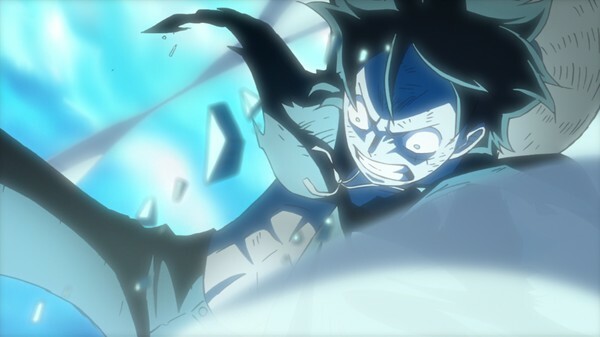 For the rest of us, however, this is a whole bunch of fun and gives hope that we'll eventually see a Funimation/Madman release of One Piece: Film Z which is the first film to take place in the "New World". 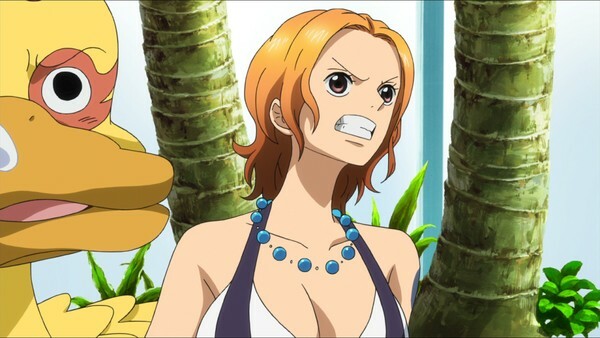 One Piece Movie: Strong World really feels as though a new benchmark has been set. There' no longer any excuse for average animation or meaningless plot lines from the likes of One Piece, Naruto or Bleach. It will be interesting to see whether these newly introduced creatures such as the 6-legged sabrecat, a GIANT angry octopus and Billy mild-mannered electric duck-thing will make an appearance in future releases. Just like Luffy's powers, the One Piece franchise has really kicked it into third gear! 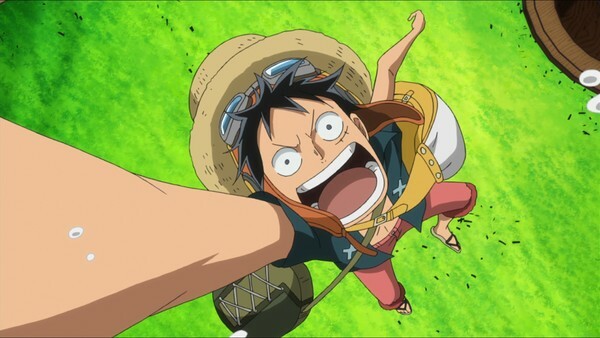 For more on One Piece, head over to Madman and check out my One Piece Feature - "A Cabin Boy's Guide to One Piece".